LED (light emitting diode) technology is highly energy efficient and can trim energy use by an average of 80 percent. LED light bulbs and lamps last up to 10 times as long as compact fluorescents and 25 times longer than traditional incandescent lighting. Replacing a 60 Watt incandescent bulb with an LED equivalent will save on average $130.00 in energy cost over the new bulb’s lifetime. Today's LED bulbs come in a variety of color temperatures, from cool blue tones to daylight and whiter tones, allowing you to easily replace existing bulbs. 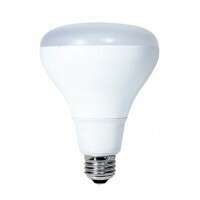 Replacement A15, A19 and A21 LED lamps replicate the form, fit and function of traditional E26 base incandescent A lamps while lasting up to 25 times longer and consume 80% less energy than a standard 60 Watt incandescent bulb. 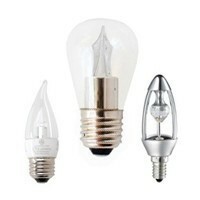 LED plug-in lamps allow you to replace inefficient CFL 4-pin bulbs without tools or costly upgrades. 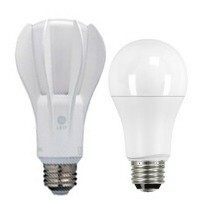 These LED replacement plug-in lamps use 50% less energy than the common CFL lamps. Energy efficiency and long life means fewer lamp replacements versus traditional CFL light sources, reducing maintenance costs. LED tubes are replacing existing T-sized fluorescent tubes, offering energy savings, up to three times longer life and less environmental impact at disposal time. 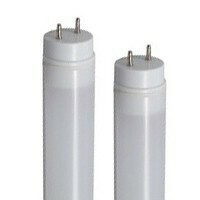 Current LED tubes offer versions that do not require a ballast and versions that work with the existing ballast. It is now quicker, cheaper, and easier than ever to update fluorescent tubes to LEDs! LED candle and globe lamps are available in many shapes, with the choice of an E12 candelabra base or E26 medium base. An energy saving solution that greatly reduces the need to change bulbs in hard to reach fixtures. 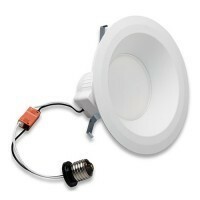 LED downlight retrofit kits fit most 4-inch, 5-inch, and 6-inch downlight cans. This allows for an easy upgrade of your old incandescent recessed lighting into energy-efficient LED lighting in a few simple steps. With the form and function of traditional halogen MR16 lamps, MR16 LED replacement bulbs are a lightweight option, providing up to 85% savings on energy costs. 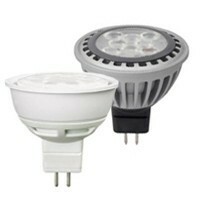 Energy efficient and long life mean fewer lamp replacements versus halogen MR16 lamps. 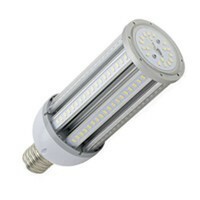 LED MR16 lamps can provide the same lumens and create far less heat than an incandescent or 50 Watt halogen lamp. LED PAR lamps are designed to replicate the shape and light output of traditional halogen PAR lamps, but offer up to 80% in energy savings. Energy efficiency and long life mean fewer lamp replacements versus standard incandescent and halogen bulbs. A lumen is a unit of measure for the brightness of light. For example, a candle provides around 12 lumens. 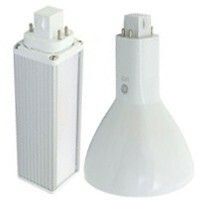 A 60 Watt incandescent lamp provides about 800 lumens. An incandescent bulb can draw up to five times as many watts for the same number of lumens in an LED replacement. Color appearance, also known as Correlated Color Temperature (CCT), is a measure of how warm or cool a light source appears. It is measured in degrees Kelvin. Most light sources have a Kelvin temperature within the range of 2700K to 6500K. Incandescent bulbs typically range from 2700-3000K. 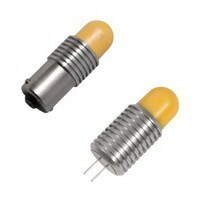 Compact Fluorescents and LEDs can range from 2700-6500K. As a point of reference, a burning candle has a 1800K color temperature while daylight at noon has a Kelvin temperature of 5000K. A color rendering index (CRI) is a measure of the ability of a light source to reveal the colors of objects in comparison with a natural light source. CRI is represented by a number on a scale from 0 to 100 with 0 being poor and 100 being excellent. 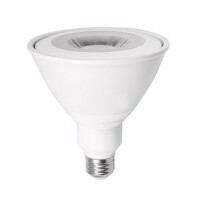 Lamps with a high CRI are desirable in color-critical applications.